Stanley Kubrick’s ‘2001: A Space Odyssey’ from 1968 turns 50 this year! The film is widely considered a workmanship of cinematic genius and for good reason. It’s a gorgeous movie — still — with a great soundtrack that has stood the test of time. A classic that finds itself in the canon of science fiction. 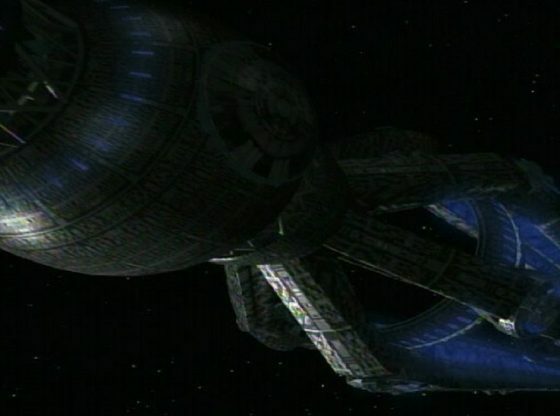 The spaceship ‘The Discovery One’ is a really cool vessel: It’s elegant, fantastic design, combining form and function to make something that looks futuristic and awesome and at the same time completely functional. The crew bulb at one end, the engines at the other, the dish in the middle, it’s just a simple, graceful, cool-looking design. Shame about the sentient AI with a murderous streak. ‘The Discovery One’ was designed by Harry Lange who worked as film production designer and art director for the movie, click here and here to see more of Harry’s fantastic concept art for the film.